The Dutch abstract expressionist artist, Willem de Kooning. NEW JERSEY - The New York Post reports that a $15,000 gamble on a storage locker paid off for a gallery owner who found six paintings potentially worth tens of millions of dollars inside. Melissa Klein, reporting for the Post, wrote that David Killen, a gallery owner in Chelsea, initially wasn’t thrilled at the prospect of paying $15,000 for a storage unit of abandoned paintings. Killen assumed the storage unit couldn’t hold anything of serious value since one well-known auction house had already declined to purchase it. Art dealer finds storage locker holds valuable paintings by ABC News (3-minutes). He committed to looking at it anyway. Despite his years of experience buying and selling art, he saw nothing worth getting excited about. “What they showed me is a bunch of junk, basically,” Killen told The Post. “I didn’t see anything good.” Regardless, he paid the asking price of $15,000 for approximately 200 artworks and resigned to selling them as filler at his gallery’s auctions. Willem de Kooning in 60 seconds, shared by Royal Academy of Arts. Mr. Killen found six paintings he believes de Kooning painted as well as a bonus: one work by modernist painter Paul Klee. Before being abandoned in the storage locker, the paintings were housed in the studio of Orrin Riley in Manhattan. Riley started the conservation department at the Guggenheim Museum, and ran his own restoration business some years after that. He actually restored several de Kooning works, which makes it very likely he would’ve had some in his possession. He died in 1986, and his partner, Susanne Schnitzer, ran the business alone. She died unexpectedly in 2009 when a garbage truck struck her as she crossed the street in Midtown. Her friends in New Jersey executed her estate, and needed to dispose of the multitude of artwork left in the wake of her death. They contacted as many of the painting owner’s as they could, but were still left with many pieces. They thought they only had de Kooning prints, and they no longer wanted to pay the monthly storage fees. So they decided to sell the storage unit’s contents. They proceeded to call different auction houses, looking for anyone interested in buying. The storage locker de Kooning paintings are unsigned. As a result, Mr. Killen wasn’t sure if they were authentic. He decided to contact an expert who had worked with both de Kooning and Riley. That man’s name was Lawrence Castagna, who pronounced them genuine. He thinks de Kooning painted them in the 1970’s in his apartment when the paintings weren’t in high demand. According to the Art Story, Willem de Kooning (1904-1997) was one of the most influential Abstract Expressionist painters of his time. His work carries influences from Surrealism, Expressionism, and Picasso’s Cubism. He used a style of painting called “action painting” meaning he expressed the image so that the viewer sensed the implied motion. Willem de Kooning fetches $66.3 million, shared by Wochit News (1-minute). Paul Klee (1879-1940) was a Swiss-German Modernist painter. Art movements such as Surrealism, Expressionism, and Cubism influenced his work, just like de Kooning. He’s also known for his experimentation with color theory and his writings on the topic. He used a pictorial language in his paintings that can’t be mistaken for any other artist of that time period. 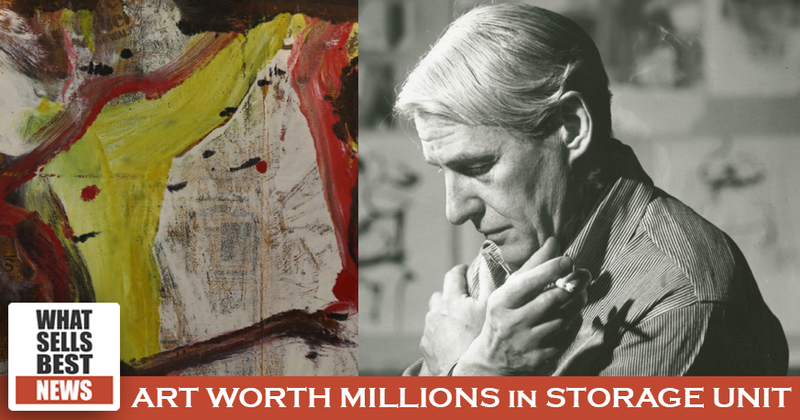 You can expect de Kooning paintings to bring in anywhere from $30,000 to millions of dollars. His “Untitled XXV” sold for $66.3 million in 2016. In 2011, a Klee painting fetched $6.8 million. David Killen expects to list the full set for sale in the fall. So stay tuned for additional details!